110 "Radio Room" on a ducati stripe nato... The rumours are true, the 110 wears terribly on a nato, put it on steel or leather. Almost got the 110 case until I saw the side profile and the straight lugs. 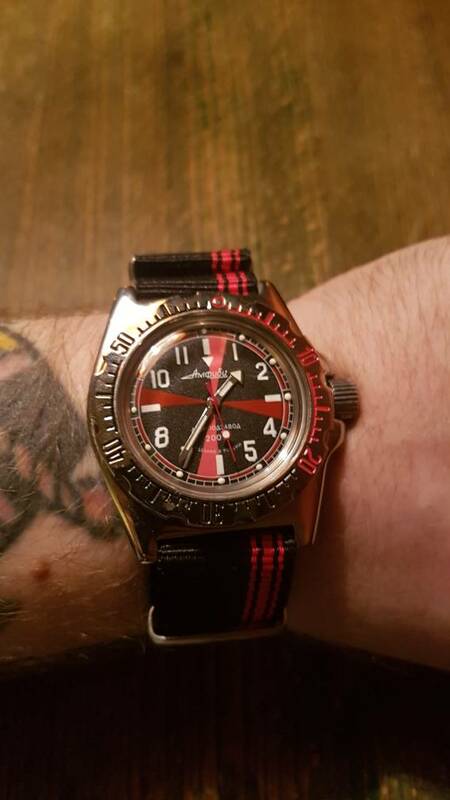 Used to wear NATO straps but I stopped because I didn't like the extra height that it added to the watch. I guess it's one of the safest ways to wear a watch but I think that the negatives outweigh the positives. Trying my camo strap with Diver Dude today. Last edited by skyefalcon6; August 10th, 2018 at 21:08. Reason: Updated?? 24h, Kamburov and Dave_Mc like this.